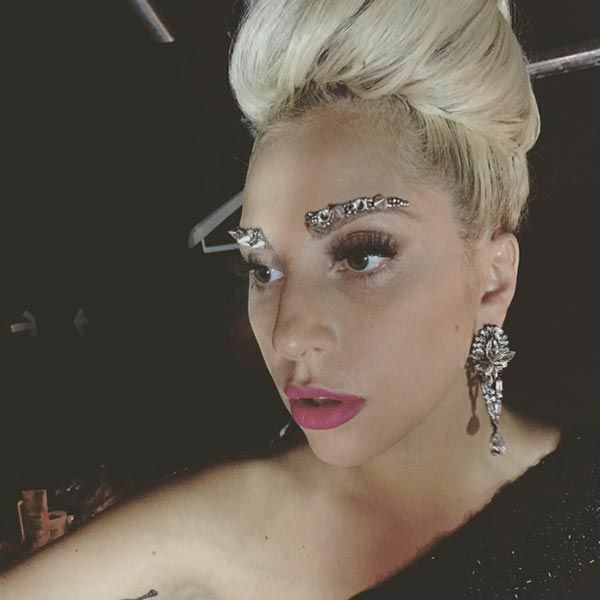 As part of a creative collaboration with Lady Gaga's makeup artist Sarah Tanno A-Morir created removable embellished eyebrows, hairline decoration, and eyelids. Ranging in embellishment with crystals, studs, and rings we created a variety of shapes and sizes that were used primarily during Lady Gaga's "Cheek To Cheek" tours with Tony Bennett, her daytime wardrobe, and television appearances. Click on the images below to enlarge, and scroll down for links to press coverage from Vogue, Harper's Bazaar, Marie Claire, Elle, and Refinery 29.